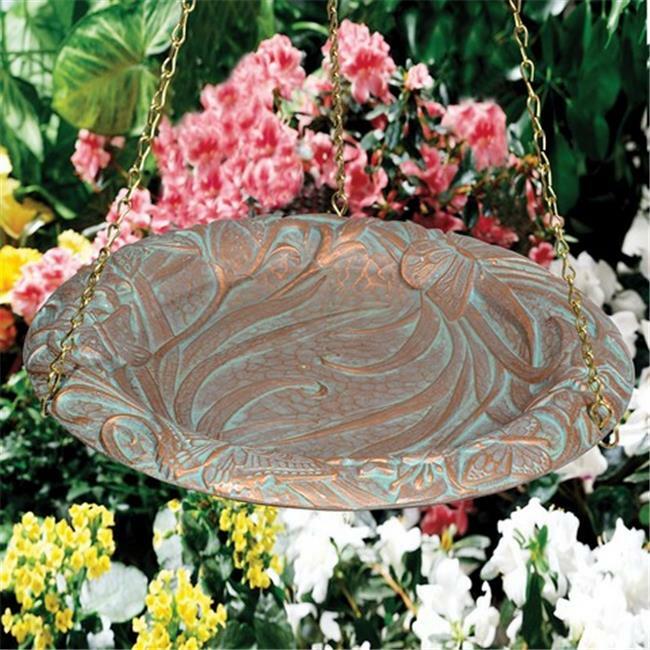 Create a more relaxing and appealing outdoor space or garden with the Butterfly Hanging Birdbath. This decorative birdbath includes a 24 in. chain for convenient hanging, so you can suspend it from a tree or post in your garden. This suspended birdbath allows you to enjoy the benefits of bird watching, one of the world's most popular leisure activities, right in your own backyard.